The wonders of broccoli are multiple. 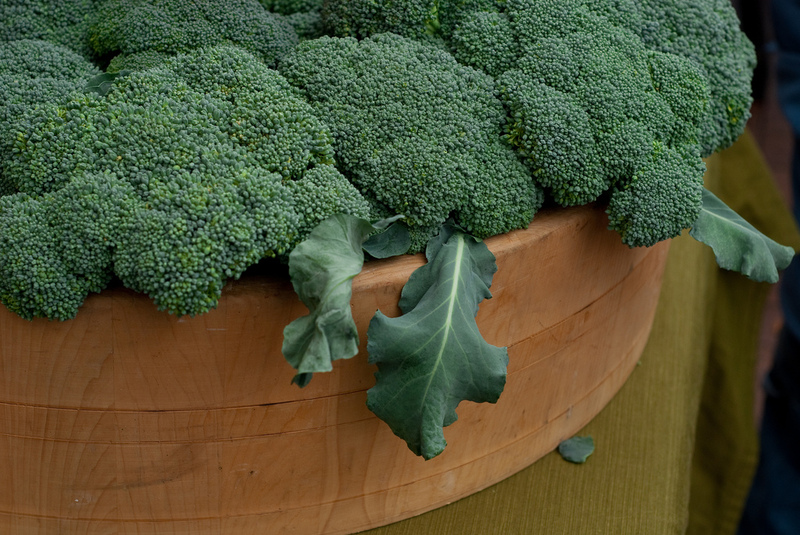 Broccoli is closely related to cauliflower, both been members of the cabbage family. The plant was cultivated at first in Italy and was named “broccolo”, which in Italian means “cabbage sprout”. A member of brassica family, broccoli contains a lot of healthy nutrients needed by the human body, like: antioxidant vitamins beta-carotene, vitamin C, vitamin E, iron and potassium. Besides the upper mentioned nutrients, broccoli is considered to be one of the best sources of glucosinolates, which is proven to reduce cancer, especially lung and colon cancer. Also, it seems like in 100g of broccoli there are less than 35 calories. Like other cruciferous vegetables, broccoli contains the phytonutrients indoles and sulforaphane, which have anti-cancer effects. Specialists found that sulforaphane boosts the body’s detoxification enzymes, potentially by altering gene expression, thus helping to clear potentially carcinogenic substances more quickly. In the past, researchers believed that many phytonutrients work as antioxidants to disarm free radicals before they can damage DNA, cell membranes and fat-containing molecules such as cholesterol. 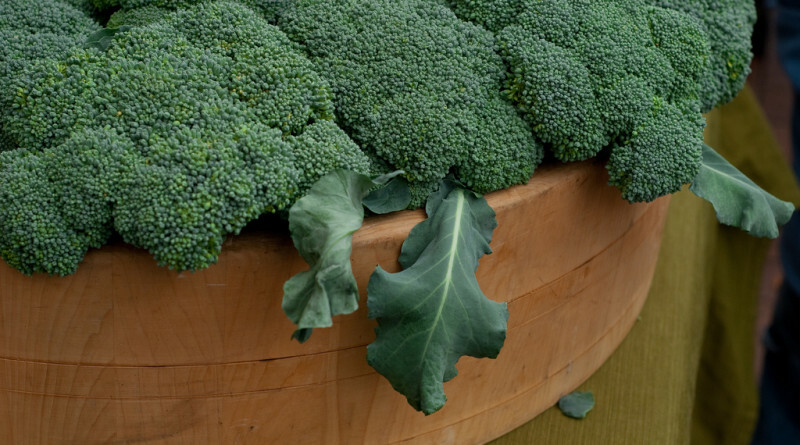 Now, new research demonstrated that phytonutrients in broccoli have a much larger importance. 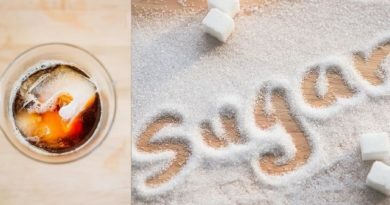 These compounds actually signal our genes to increase production of enzymes involved in detoxification, the cleansing process through which our bodies eliminate compounds that can damage the human body. The wonders of broccoli are demonstrated by a very important study on Chinese women in Singapore, a city in which the air pollution level is very high (causing a lot of damage to resident’s lungs), found that in non-smokers, eating cruciferous vegetables lowered the risk of lung cancer by 30%. Also, in smokers, regular cruciferous vegetables consumption reduced lung cancer risk with 69%. So, eating broccoli sprouts in your sandwich or in your salad can allow you to make use of all wonders of broccoli with huge health benefits that medicine can not offer. Broccoli sprouts are mainly recommended because they are 10 – 100 times more effective than mature broccoli, when referring to the capacity to boost enzymes that detoxify potential carcinogens. Special research conducted at Harvard and Ohio State universities proved that drinking fluids, especially water and eating broccoli and cabbage can reduce bladder cancer. Note: smoking can increase the risk of bladder cancer by four times!!! It seems like men who eat often broccoli or cabbage have 44% lower incidence of bladder cancer as compared to men who do not eat such vegetables. Also, men drinking a lot of fluids have a 51% lower incidence of developing bladder cancer. Steven Clinton, a co-author of the upper mentioned research projects and the leader of the Cancer Prevention and Control Program at Ohio State’s Comprehensive Cancer Center-Arthur G. James Cancer Hospital and Richard J. Solove Research Institute, stated that the key to reduce the risk of bladder cancer is: “Don’t smoke, drink fluids, and eat cruciferous vegetables, especially broccoli and cabbage.” Clinton mentioned that the findings of the research were very important: “This gives us a wonderful foundation for future research. Now, we can try to identify the specific agents that are involved in protection from bladder cancer. Perhaps we can purify these agents and use them in chemo prevention studies; perhaps we can grow cruciferous vegetables under different conditions to enhance the amount of these potentially beneficial substances and improve the nutritional value of these foods or make extracts or powders that can be used by those who are at particularly high risk of bladder cancer”. Bladder cancer is the fourth leading cancer to occur to men, and the ninth leading cause of cancer mortality in men. It is the eighth leading cancer in women. So, cancer fighting is one of the top wonders of broccoli. Spray a 23 cm (9-inch) pie plate with cooking spray. Set aside. Spray a non-stick skillet with cooking spray. Heat over medium heat. Sauté green onions and garlic for 5 minutes or until transparent. Stir in broccoli. Layer broccoli mixture and cottage cheese in pie plate. Set aside. Whisk eggs with milk and baking mix; season with salt and pepper. Pour over cottage cheese mixture in pie plate. Sprinkle top with goat cheese and Parmesan cheese. Bake in a 180°C (350°F) oven for 25 minutes or until a knife inserted near the center comes out clean. Makes: 4 servings / Preparation: 10 minutes / Cooking: 5 minutes / Baking: 25 minutes. A lot of folks don’t like broccoli, I think it’s because sometimes it’s not as fresh as it could be and it gets overcooked. I try to eat it at least two times a day, it’s gonea long way to helping me get rid of my gut! It’s great with eggs in the morning! Overcooking broccoli will make it less attractive for eating. Broccoli is perfect when it is still rigid, not soft. It is definitely a wonder vegetable that will do a lot of good for your health. This article is useful as well, but I couldn’t find what am I looking for about lose weight and cancer..
up or down stairs, running, tennis, etc. The information and facts at this site is completely helpful. I have uncovered a lot of strategies. you have performed a excellent activity in this matter!